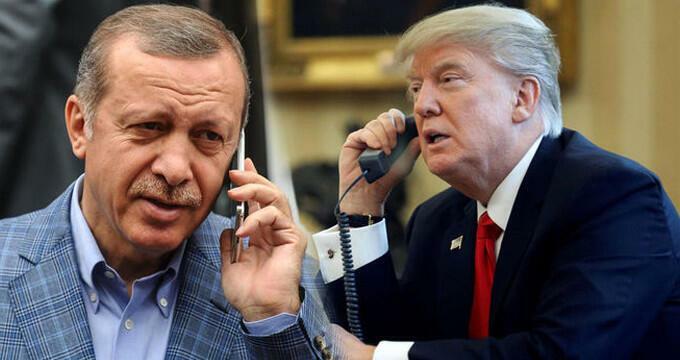 Turkish President Recep Tayyip Erdoğan said that he had informed U.S. President Donald Trump that he would soon be invading the Syrian region of Manbij, Hürriyet columnist and palace insider Abdulkadir Selvi wrote. Pointing to a map with a laser pointer, Erdoğan told a meeting of mayors affiliated with his ruling Justice and Development Party (AKP) of his plans to expand Turkish control over northern Syria, Selvi said. “We will go down from Afrin as far as Idlib and join it up. We will also enter Manbij,” Erdoğan said. However, the U.S.-led coalition – of which Turkey is currently a part – has said that it will not leave the area, saying that it was now thriving under Syrian Democratic Forces (SDF) rule. Erdoğan also told the group that the Afrin operation had united Turkey behind his leadership in the same way that the failed 2016 coup had done, Selvi said. “The Afrin operation has created unity within Turkey,” Erdoğan said. “The feeling in the country is very good. After July 15, there was an air of unity and togetherness, an August 7 air,” he said, in reference to the meeting at Yenikapı in Istanbul on Aug. 7, 2016 at which opposition leaders joined him to condemn the coup attempt. In addition, Selvi said, Erdoğan was very happy with what he saw as a revival of enthusiasm for his party after his stance on the issue of the United States moving its Israeli embassy to Jerusalem, his having forced the United States to give up its visa sanctions on Turkey and the popularity of the operation in Afrin.